By running a series of radiocarbon dates, a process that involves measuring the remaining amount of radioactive carbon in a sample to estimate its age, they found that many of the charred wood fragments and shells were not arranged in the usual pattern of younger to older. Instead, they found older shells and charcoal fragments above younger ones–in other words, completely out of order. 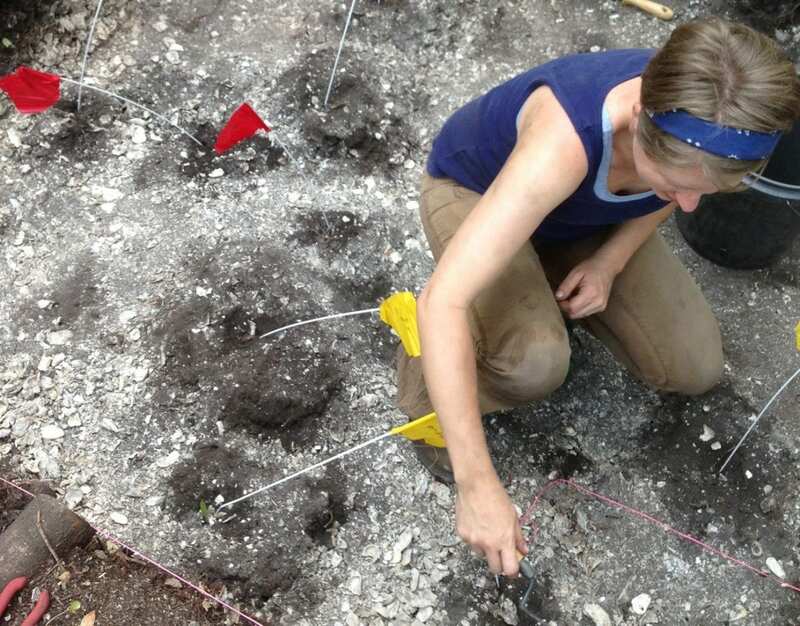 What this pattern suggests to Thompson and his colleagues is that the Calusa were reworking midden deposits to create landforms and were shaping them for a variety of reasons and purposes. Its second occupation is associated with large-scale labor projects that ultimately gave the island its final shape. All this work appears to have been supported largely by fishing–and possibly the storage of the live surpluses of those aquatic harvests. The Calusa were powerful–they controlled most of south Florida when the Spanish arrived on Mound Key in the 16th century. These fisher kings confused the European explorers because they weren’t farmers; they typically had only small garden plots, and, on top of that, their capital town was built on an artificial island.